Are you looking for a casual shoe that will look good on your feet this summer? 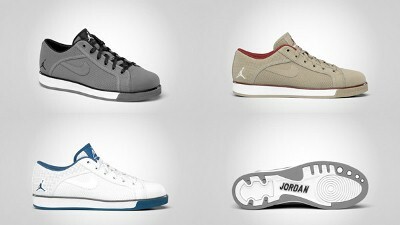 If you are then you should not miss the new releases of Jordan Brand this July 2011. The Jordan Sky High Retro Low, the low-cut edition of one of the well-loved basketball shoe from Jordan Brand, will come out in three elegant-looking colourways this month – the Khaki/White-Team Red, White/French Blue-Flint Grey, and Cool Grey/Black-White. All three colourways feature a perforated upper part with a solid toe box. Popularly known as the Cool Grey, French Blue and Khaki editions of the shoe, expect this shoe to gain a lot of attention this summer so don’t dare miss it!